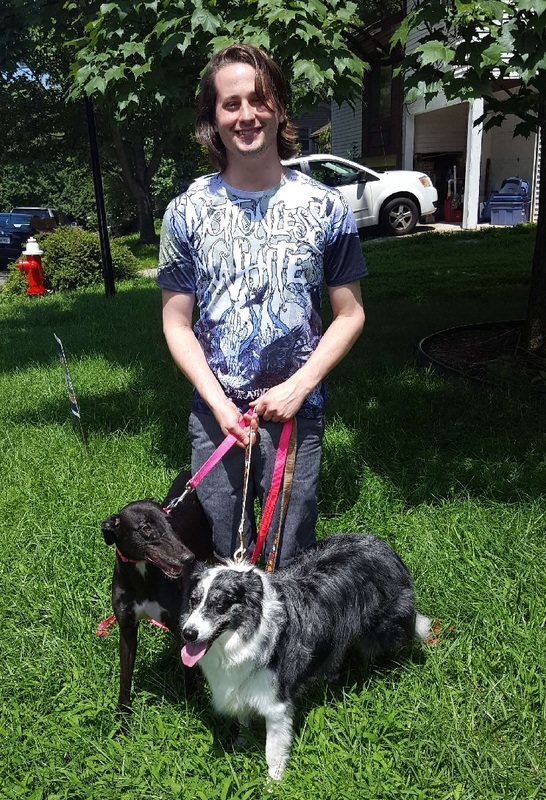 Brian was missing a new friend for his adorably sweet and energetic border collie, Ivy. When Daisy and Ivy got together, they knew they would have lots of fun to play, run and chase balls! It was the perfect Match! Brian and Ivy are so happy to have a new family member, Daisy in their group! Congratulations! Katie and Cole adopted a sweet fawn female, Aimee. They are so excited to have her in the family and are looking forward to nice walks and relaxing at home with her! Congratulations Katie, Cole and Aimee!